The Hindu symbol `Aum` or `Om` is one of the most important symbols of Hinduism. Aum is a syllable in Sanskrit which is supposed to be the first sound of the Universe. The symbol is described as the all-encompassing mystical entity in the Upanishads. 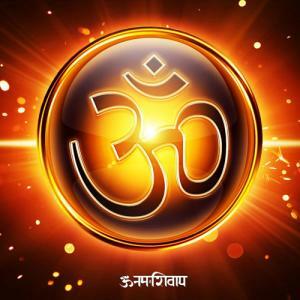 The vibration created by the chanting of Aum symbolises that manifestation of God. The sound is the reflection of absolute reality. As per Mandukya Upanishad, The `A` stands for the state of wakefulness, in which we experience everything externally through our mind and sense organs. The `u` stands for the dream state, in which we have inward experience. The sound `m` represents the sate of deep sleep where there is no desire and consciousness is gathered in upon itself.